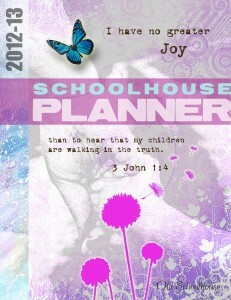 Something needs to change in the way of my organizing our homeschool. When I had primarily elementary aged children it was ok to be more eclectic or even unschooling oriented in our structure. Now with 2 in high school, 1 in junior high and 2 struggling with reading I feel I need to kick the organization into gear, which for a type B personality is feeling a titch overwhelming. I was thankful to have the resources available at Schoolhouseteachers.com, though I must admit they were a bit overwhelming at first. My eyes scanned the information; where to start, what to look at, what items to incorporate in our school and with which children. Taking a deep breath prayer sent to God, “Please guide me in the resources and organization that You would like me to glean from”. When I first opened up Everyday Easels (http://schoolhouseteachers.com/category/everyday-easels/) I saw a study on a painting of Daniel Boone. We just so happened to move to KY recently and Daniel Boone is revered strongly around here. I had hoped to give the kids some KY history this year, and this will help not only in the history portion but in the artistic realm as well. A great aspect to my soon to be homemade unit study! Well worth the membership for the planners alone with over 800 unique pages to print to customize your own planner. But what else do you get if you are a member of Schoolhouse Teachers? Honestly more than I even have time to look at and they keep adding more! Here is just a small list of some of the topics and helps they have for you as the teacher. Also you have access to all past and current The Old Schoolhouse Magazine! I even put an app on my phone to read some of the articles. By far my favorite magazine for homeschoolers! This website is for all teachers and homeschoolers. Whether you are a new homeschooler just breaking ground with a preschooler or K to an experienced homeschooler with teens ready to leave the nest, you WILL find a vast amount of information that you personally can utilize. They also have a monthly theme with book recommendations to take with you to the library. The month of July was foreign language. The outline for a complete unit study for all ages. I love how this is going to change monthly as I am a huge unit study lover! I can easily adapt some of these themes to my Homeschool Co-op Class. Sign up now for only $1 for the first month, $5.95 each month after. That is such a fantastic deal given all of the new information you can utilize including the planners!